Are you ready for some football? We're getting ready to kick off football season with these printable football schedules. 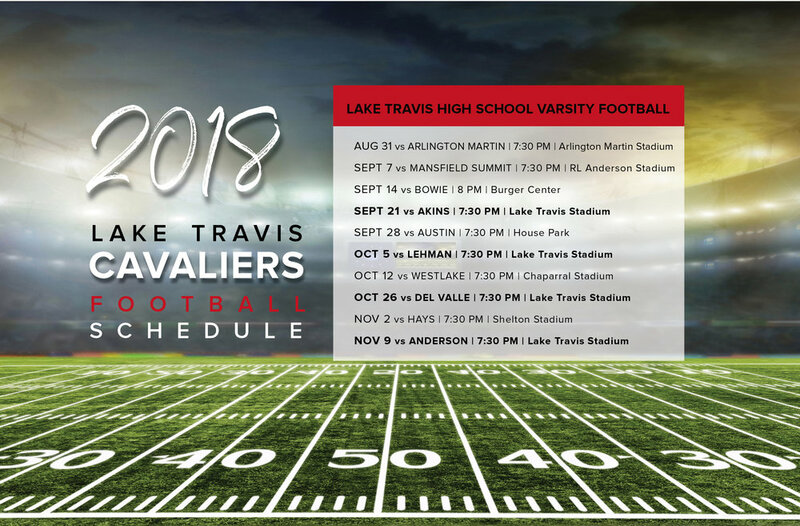 Follow Westlake High School, Austin High School and Big 12 football with us! We are especially excited to watch some longhorn football this fall. If you don't have a season pass, be sure to see our list of places to watch Texas football in Austin!